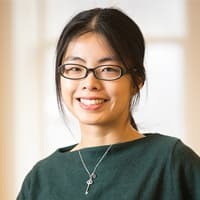 Xinyi graduated from Cornell University with a Bachelor of Arts in Near Eastern Studies and a Minor in Jewish Studies. She will be seeking an MA/MSc in International and World History at Columbia University. Xinyi was interviewed for the A&S "Exceptional Senior" series. Magdalene graduated from Cornell University with a Bachelor of Arts in Near Eastern Studies and Spanish. She has a position as a Legal Assistant at Weitz & Luxenberg. Madgalene was interviewed for the A&S "Exeptional Senior" series. Sarah graduated from Cornell University with a Bachelor of Arts in Near Eastern Studies and Government. After graduation, she joined Booz Allen Hamilton’s Tampa office to work with U.S. military clients on target audience analysis, strategic messaging and other efforts to counter violent extremist organizations. Thanks to her four years studying Arabic on campus and in Cornell’s al-Mashriq program in Amman, Jordan, she was able to help translate and edit Arabic documents for her team. In August, she also had the opportunity to travel with her team to a U.S. Marines-sponsored symposium in Aqaba, Jordan. In September, Sarah moved back to Washington, D.C. Still with Booz Allen, Sarah provides research and analysis to help improve a variety of Department of Defense processes. In the long term, Sarah hopes to work in the intelligence community. 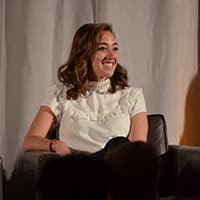 After completing her undergraduate degree in Near Eastern Studies and International Relations at Cornell in 2015, Sarah joined the business development team at The Dodo, a digital media company focused on making animal welfare a mainstream cause. In her 3-year span at the company, she wore many hats, ultimately growing into the role of Partnerships Manager. 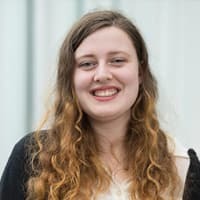 Starting in the Fall, Sarah will be pursuing her Master's degree at the Johns Hopkins Paul H. Nitze School of Advanced International Studies (SAIS) in Washington, D.C. Throughout the 2-year program, she will be concentrating in both International Development and International Economics, with the ultimate goal of a career in development consulting. She will also focus on strengthening her Arabic skills, the foundation of which she built during her time at Cornell, in hopes of working on projects specific to the Middle East. Sarah attributes her love of international studies to the NES Department at Cornell. While she initially undertook the major to explore questions of her own history — the paternal side of her family are Sephardic Jews from Baghdad — she came to find that a personal venture would quickly morph into a career ambition. 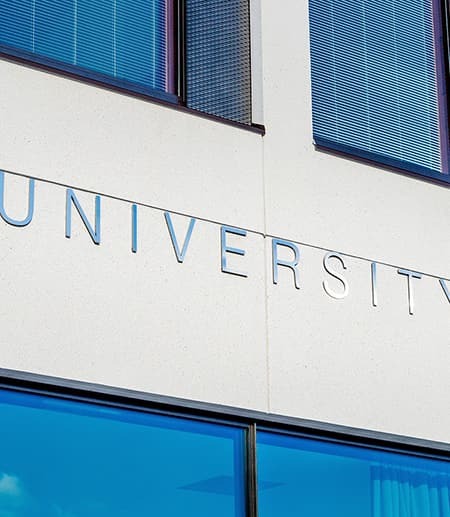 Among other things, the curriculum brought her to live and study in Jerusalem, one of the most invigorating cities on earth, and equipped her with an understanding of its complex dynamics. The NES faculty and coursework consistently encouraged the development of an analytical, unbiased perspective — one that she will undoubtedly carry with her throughout the rest of her academic and professional careers. Tara is currently working in the United States Senate office of Senator Dianne Feinstein (CA-D). Prior to joining the Senate, Tara spent three years working in finance. She was an Investment Associate at Fundrise, a financial technology startup in DC, as well as a Securitized Product Sales Analyst for Nomura Securities International, an international investment bank in NYC. While Tara had spent the majority of her career in the private sector, she knew she had a passion for public policy and service. In 2016, she worked as an Organizing Fellow of the Hillary for America Campaign, in addition to her full-time job at Fundrise. After the 2016 presidential election, Tara decided to leave the private sector to work in public service. In her spare time, Tara launched Iranians of America, a social media campaign dedicated to sharing the human stories and contributions of Iranian American immigrants in this country. Tara is a 2014 graduate of the College of Arts and Sciences with a dual B.A. in Near Eastern Studies and Government. Tara is excited to spend some time in public service and intends to return to school in the future to seek her dual Masters in Public Policy and Business. Becca Litman graduated from Cornell in 2013, majoring in Near Eastern Studies and minoring in English. After graduation, she spent several years working at UC Davis as a research and project analyst and writer, and she currently works for Blue Shield of California as a technical communicator. 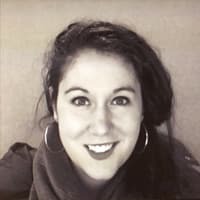 She is also an assistant editor at a literary magazine, Under the Gum Tree, and remains close to Cornell as a Cornell Club of Sacramento board member and a CAAAN ambassador. 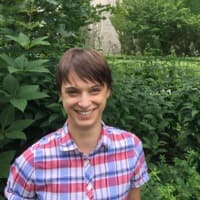 After completing her undergraduate degree in Near Eastern Studies and Biology at Cornell in 2012, Sara spent two years working as an HIV researcher, tester, and counselor at Project BRIEF at Jacobi Medical Center in the Bronx, NY. Her stigmatized patients were mostly from under-served communities; advocating for her patients ignited a passion that led her to pursue a career in medicine. Sara is a member of the Frank H. Netter MD School of Medicine at Quinnipiac University Class of 2018. Although medical school was rigorous in training, she never forgot her social justice roots. During medical school, Sara found time to work at a Syrian refugee camp in Greece. Her Arabic skills she learned while at Cornell helped her navigate the complexities of the refugee camp, allowing her to listen and bond with the refugees and really understand their plight, and also serve as a translator for the camp. She spends her free time in medical school finding innovative ways to support the refugees who are resettling in Connecticut. During her medical career, she's often been asked "Why Near Eastern Studies? What does it have to do with medicine?" Sara credits the Near Eastern Studies department for giving her the critical thinking tools needed to bring a fresh perspective to the obstacles health care and health education face. The writing skills, the ability to read and digest complex history and politics, and the appreciation for diversity and culture-- all of these skills have played a role in helping Sara champion causes she's passionate about, including refugee resettlement and healthcare equality. Daniel is a third year Ph.D. student in the Higher Education Division at the University of Pennsylvania's Graduate School of Education and a Research Associate at the Penn Center for Minority Serving Institutions (CMSI). As a Cornell student, he spent a semester abroad in Jordan while participating in the inaugural cohort of NES's Intensive Arabic Program in the spring semester of 2010. 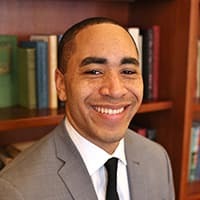 He draws upon his experiences in the program while leading CMSI's research on students of color studying abroad and efforts to increase study abroad participation at minority serving institutions, which are colleges and universities known for educating racially underrepresented populations in higher education. In addition to his work on study abroad, Daniel researches faculty diversity and hiring practices. Laura is a doctoral student at University of Texas at Austin in Middle Eastern Languages and Cultures. Relying upon both her Persian and Arabic language knowledge, she focuses her studies on Iranian cinema, while also addressing Egyptian and Palestinian film. Her interests lie in determining the current digital distribution and viewing practices of mid-twentieth-century popular Iranian films through online platforms. More recently, in 2013, Laura completed her Master's degree in Middle Eastern Studies at UT. Her thesis work focused on Iranian visual culture during the Iran-Iraq War. Priscilla is currently an Arabic Teacher at Austin High School. 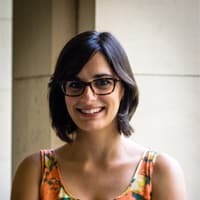 In May 2016 she recieved an MA from the University of Texas at Austin, where she studied Applied Linguistics, with a focus on the Teaching of Arabic as a Foreign Language. She is particularly interested in the teaching of Arabic Culture in both K-12 and university-level settings. 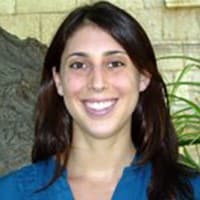 She holds a Bachelor's Degree in Near Eastern Studies, Linguistics and German Studies from Cornell University, and during her undergraduate career she participated in the inaugural year of Cornell's Intensive Arabic Program and studied abroad for a semester at the Hashemite University in Zarqa, Jordan. She has also lived in Cairo, Egypt and Doha, Qatar. She speaks Levantine Arabic, Modern Standard Arabic, German and reads Classical Arabic and Latin. Alexandra lives in Washington, D.C. where she works as director on the educational team at the National Geographic Society. She supports educators across the United States (and internationally) with tools to engage and inspire students the next generation of scientists, explorers, conservationists, and storytellers. "On a daily basis I have the pleasure of interacting with educators from across the country who are doing really cool things to teach kids about the world and how to make it a better place. One big (literally) project I worked on this year was our Giant Traveling Maps - these are 16 x 20 foot maps that kids can walk and do lessons on - they are an awesome way to introduce geography and map reading skills, and its super fun to see little kids geek out about 'standing' on their town." Rammy recently completed his first year of grad school in UC Santa Barbara's Psychological and Brain Sciences doctoral program. After graduation from NES and Cornell, he served as a TA for Introductory Psychology in Weill Cornell Medical College in Qatar, after which he recruited students for the college. Rammy then completed the Post-Baccalaureate Program in Psychology and Social Behavior at UC Irvine to prepare for grad school. He is most interested in social psychology, and is focusing on the areas of inter-group relations and motivated reasoning. Since graduating from Cornell in 2010 Jacob has been around the world -- working for a private intelligence firm called Stratfor in Texas, earning a Master's in Jewish Studies from the University of Oxford, backpacking my way through Europe and the Middle East, studying Talmud for a year at Mechon Hadar in New York City. 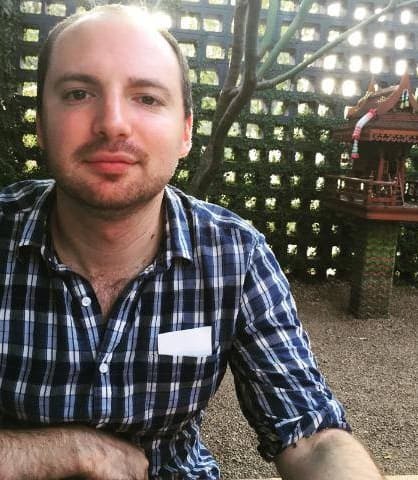 In 2015, he made his way back to Texas to help start a company called Geopolitical Futures -- an online, subscription-based publication dedicated to objective analysis of global politics. "Little did I realize at the time just how sorely that kind of sober analysis would soon be needed," says Shapiro. Amy is currently a J.D. candidate at The George Washington University Law School and served as Program Coordinator for "Encounters" in Jerusalem from 2010-2014. Ariela spent her first few years out of Cornell teaching special education through DC Teaching Fellows, and working with tribal youth in California through AmeriCorps, before attending UC Irvine School of Law. 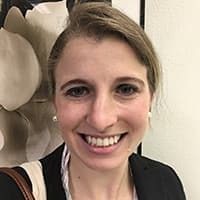 Now a legal services attorney in New York and New Jersey, Rutbeck-Goldman attributes her preparation for a career in public service to NES and the undergraduate experiences she had learning about different cultures surrounded by a small, supportive group of faculty and fellow students. After graduating from Cornell University ('08), I spent a year studying at the Hebrew University of Jerusalem. Currently, I am a PhD candidate in Hebrew Bible and Ancient Near East at the Divinity School of the University of Chicago. My research explores how modern social structures and political experiences influence the ways in which we reconstruct ancient history. I combine this broader approach with a study of primary sources to develop new paradigms for understanding the intersection between political hegemony and religious imagination in ancient Israel and Judah. I also teach Hebrew Bible at Saint Joseph's University in Philadelphia . In addition to preparing me for graduate work, the teaching and mentoring I enjoyed in the Cornell NES department is the model I use for my own pedagogy. The Near Eastern Studies classes I took in Cornell have always kept me one step ahead in the sector (both business world and in my studies), and I owe so much to the department for where I am in my career. After Cornell, I continued my Master's in Middle Eastern Studies at Harvard (2012). As soon as I graduated I decided to take a break and go back to Turkey and work, my initial plan was to stay 2 years tops and start my PhD but it took a little longer than that. I worked in a boutique consultancy firm as a private political and economic consultant for global companies operating in Turkey. A couple years ago I finally decided it was time to go back to academia. I am just finishing the first year of my PhD, specializing on radicalization and recruitment of females and children, with Dr. Mia Bloom (who also has worked at Cornell) and Dr. Carol Winkler at Georgia State University as a President Fellow in the 2CI Transcultural Conflict and Violence Institute. 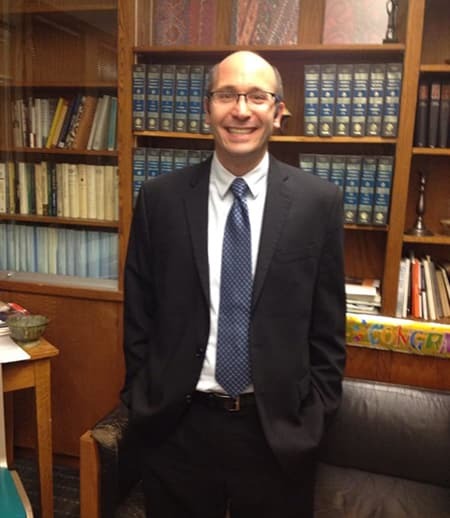 Elias completed his Ph.D. in Near Eastern Languages and Civilizations at the University of Pennsylvania and will continue on to teach at Grinnell College. Manata Hashemi is the Farzaneh Family Assistant Professor of Iranian Studies at the University of Oklahoma. A sociologist by training, her research focuses on how moral understandings interact with socioeconomic conditions to affect people’s behaviors and perceptions of the good life. She explores generally how people find meaning and assert dignity and what role social norms, networks and institutions play in that process, particularly among economically marginalized groups in the Middle East. Her research has appeared in several peer-reviewed academic journals including Qualitative Sociology and The Muslim World as well as in media outlets including PBS Frontline. Her edited volume, Children in Crisis: Ethnographic Studies in International Contexts (Routledge 2013), examines the coping strategies of children living in crisis situations in the developed and developing worlds. Manata is a 2005 graduate of the College of Arts and Sciences with a BA in Near Eastern Studies. She went on to receive her MA in Middle East Studies from Harvard University in 2007 and her PhD in Sociology from the University of California-Berkeley in 2012. Prior to joining the University of Oklahoma, she was a research director at Qatar Foundation and a post-doctoral fellow at the Georgetown School of Foreign Service in Qatar. Umair Khan has been appointed as Senior Advisor and Special Counsel, New York State Office of the Attorney General. He previously served at the Office of New York City Public Advocate Letitia James as Deputy Counsel and as Assistant Counsel to State Senator Parker in the office of the Majority Whip. He started in the New York Senate as a Graduate Fellow with State Senator Bill Perkins. While at the Senate, Umair has led on a number of critical issues that include: education, energy, civil rights, health care, land use, financial and public authorities reform. Before arriving in Albany, Umair served as the Asian Pacific American Institute for Congressional Studies fellow with Congressman Mike Honda and a Legislative Assistant to Congressman Bob Filner. He was also a founder of the Congressional Muslim Staffers Association. 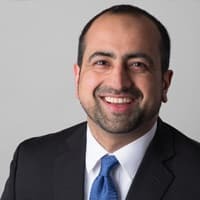 Umair is a graduate of Albany Law School, where he was an Associate Editor on the Albany Government Law Review, and received his bachelor's degree in Government and Near Eastern Studies from Cornell University. 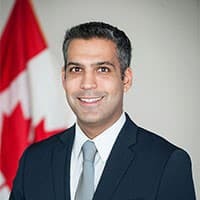 Hussein Hirji is the Economic Counsellor and Development Focal Point at the Embassy of Canada in Washington. He completed his Bachelor’s degree in Economics and Near Eastern Studies from Cornell University, before pursuing his Master’s in Development Economics at the University of London. He worked for the Aga Khan Development Network in Syria, Tajikistan and Kyrgyzstan before returning to Canada where he managed development projects in Egypt and Afghanistan. Since joining the Department of Foreign Affairs, Trade and Development, Hussein has covered the West Bank and Gaza and Middle East Peace Process, has been part of Canada’s delegation to the UN General Assembly, has covered Canada’s nuclear disarmament and non-proliferation policy and has been posted to the Representative Office of Canada in Ramallah. I am an associate professor in the Department of Anthropology at William & Mary, and a member of the Asian and Middle Eastern Studies Program. My research has focused on North African performance practices--both musical and poetic--that are said to have their roots in al-Andalus, medieval Muslim Spain. My first book, The Lost Paradise: Andalusi Music in Urban North Africa (University of Chicago Press, 2016), uses archival and ethnographic research to explore the dynamics of urban musical revival in Algeria and Morocco since the turn of the twentieth century. This book recently won the Mahmoud Guettat International Prize in Musicology (2nd place) from the Tunisian Ministry of Cultural Affairs, as well as the L. Carl Brown Book Prize from the American Institute for Maghrib Studies. I graduated from Cornell in 1998, and was an NES major and part of the College Scholars Program. NES was a very hospitable and intellectually stimulating place for me. I am often struck by how much of what I am doing now is indebted to the courses and conversations I participated in there, whether it is at the level of language skills, concepts, or even course books that I thankfully kept! 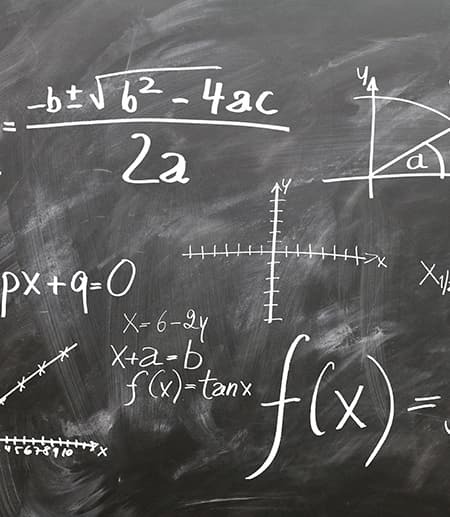 Most of all, however, it is a certain sensibility that has lingered with me, and that I try to bring to the classroom when I teach, as well as to the page when I write: a combination of rigor, fairness, curiosity, and imagination. 7.19.2017 Near Eastern Studies extends our warmest thanks to Ronni Lacroute '66 for her extremely generous support for Persian Language instruction at Cornell.